Diagnosing a sick chicken is guess work. 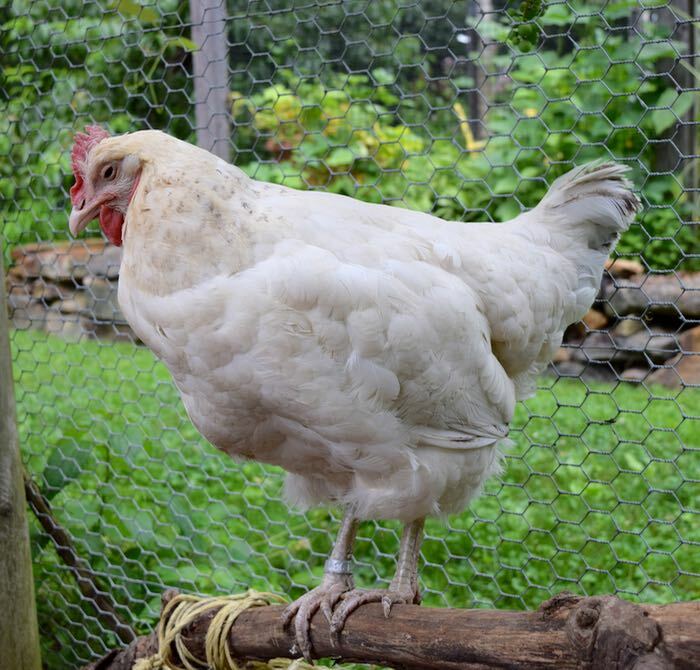 Hens exhibit the same symptoms for different ailments. Also, chickens can be very, very sick before you notice anything is amiss. Not only do they hide illness, but they often function seemingly fine until they are days away from death. The best advice that I can give anyone is this: know your animals. You should be so acquainted with their quirks and vocalizations, their greetings and their eating habits, that as soon as something is off, you know it. She isn’t eating or drinking. She is coughing, wheezing, and/or has mucus or bubbles in her eyes. She is covered with lice. She is limping, or moves as if she is uncomfortable. There is a runny, or bloody discharge from her vent. She has diarrhea (if it’s green or bright yellow, her condition is serious) Or, there is no manure at all. The other hens are pecking her, when it is usually a peaceable flock. As soon as you notice any of these signs, pick up your chicken and examine her. Look for a wound, listen for the sounds of a respiratory ailment, check her vent (blood, prolapse?) and her abdomen (distended and hard, or like a water balloon?) Feel her weight. Sick chickens quickly become emaciated and their keel bones stick out. Isolate her (I use a dog crate) so that you can keep an eye on the poo, the food and water consumption, and whether she is laying (and what the egg looks like.) You’ll need all of these clues to hunt for a diagnosis and course of action. If I see respiratory symptoms, I’ll keep her isolated to try to keep the disease from spreading, but if not, after observing her, I’ll put her back with the flock. Unless the other hens are attacking her, it does her no good to be isolated and indoors. The first thing that I want to determine is whether the hen has a respiratory disease. Bird lungs are different than lungs in humans. They’re small and tucked into the back of the rib cage. For a detailed look into avian respiration go to this website. Chickens are susceptible to many respiratory ailments, both viral and bacterial. Once the lungs are compromised, the bird will decline quickly. What you might at first notice as a bit of wheezing can quickly turn fatal. Although I’ve seen charts which purport to identify which of the major respiratory ailments your hen might have, I can tell you that they aren’t accurate. That’s because I’ve gone to the expense (hundreds of dollars) of doing lab work on some of my ill hens. I can also tell you that it doesn’t really matter which disease she has – not only are your treatment options limited, but by the time the lab results come back, your chicken will likely already be dead. For commercial growers, doing the lab work is worth the expense, but for a backyard chicken keeper it is not. No matter what the causative germ is, the course of action is to try one of two antibiotics, duramycin or Tylan. 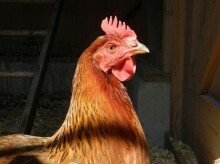 The bottom line is that if your hen is having difficulty breathing, or if you hear a rattly, wheezing sound, don’t wait. Read this post and this one on using antibiotics. 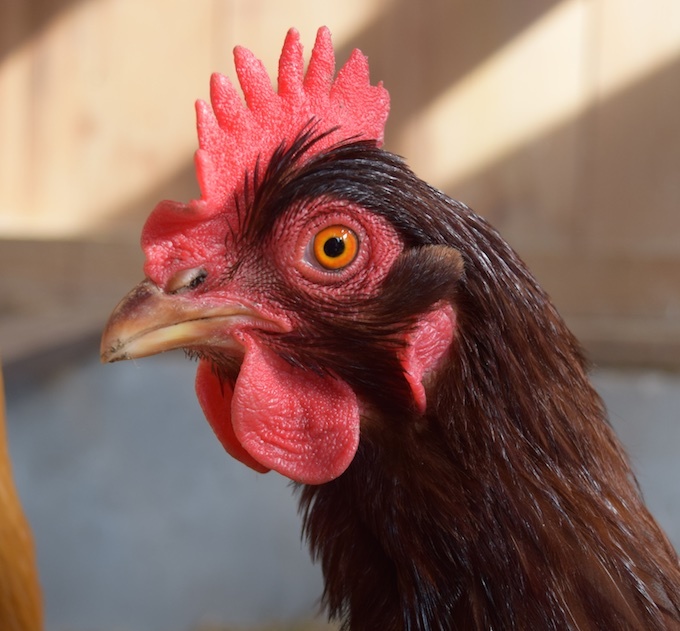 If it’s not respiratory, then you’re probably worried because something looks wrong with your hen – she looks listless, is hunched, isn’t eating, perhaps her comb has paled, or she appears to be straining to lay an egg. My first course of action is my Spa Treatment, which is basically an epsom salt soak, a dose of olive oil, and TLC. This is surprisingly effective and has brought many hens back from the brink. It works when there is what I call an imbalance of inputs and outputs. In order to create that egg, the hen has to digest and process food, then circulate the minerals, etc. through the blood, then utilize them to create an egg. Sometimes that complicated system goes out of whack. The hen will look uncomfortable, perhaps hunched, perhaps walking around but not hungry. Sometimes she is weak and so her digestive tract becomes blocked. In those cases, the Spa Treatment will set things right. If it doesn’t, then something terribly wrong is going on inside of your hen. Chickens are prone to cancer and tumors, liver disease, and reproductive tract failures (which in turn lead to blockages, internal infections and more.) The external symptoms for all of these terminal ailments are so similar that you won’t know what is wrong with your hen until she dies and a necropsy is done. I know – I’ve guessed wrong more times than I’ve been right. For many people, their hens are their beloved pets and they’d do anything to cure them. But, sometimes, it’s a kindness to let them go. 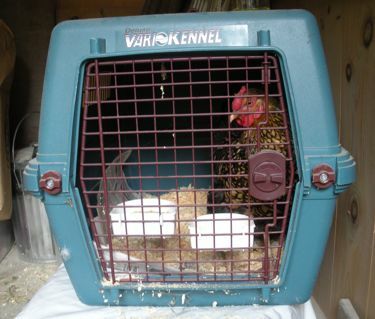 I don’t take my chickens to a veterinarian, not even to a practice with a specialty in birds. That’s because by the time the chicken is so ill that you notice, there is nothing that one could or should do for her. (I’ve written more about this here.) I do my own necropsies on my birds, and I can say that of the more than twenty chickens that I’ve looked inside of, that not one of them could have been helped. I’ve seen cancer, internal laying and fatty liver disease, ascites and peritonitis. In all cases, it was a kindness to euthanize. But I don’t want to end this post on that negative note! In many cases, respiratory ailments can be alleviated and your flock can go on to another year of laying and good health. Chickens have a remarkable ability to heal from wounds. General malaise can be cured with the Spa Treatment. For your sanity, keep in mind that hens are not long-lived. They’re at their height of their egg-laying productivity for the first two years. After that, it all depends on the genetics of the bird, how you feed them, and luck. I’ve had hens come back from ailments and live to be 9 years of age. I have friends with hens that have lived into their early teens. But, know that it’s normal if they don’t. Keeping chickens is all about compassion mixed with common sense.